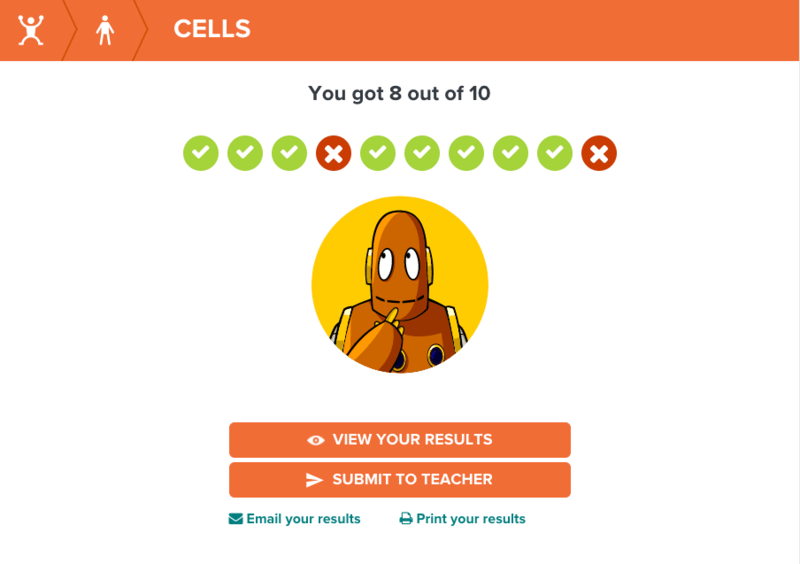 Students with My BrainPOP student accounts can submit both unassigned and assigned work to their teachers. Click Submit or Submit to Teacher. Select the class associated with the quiz. 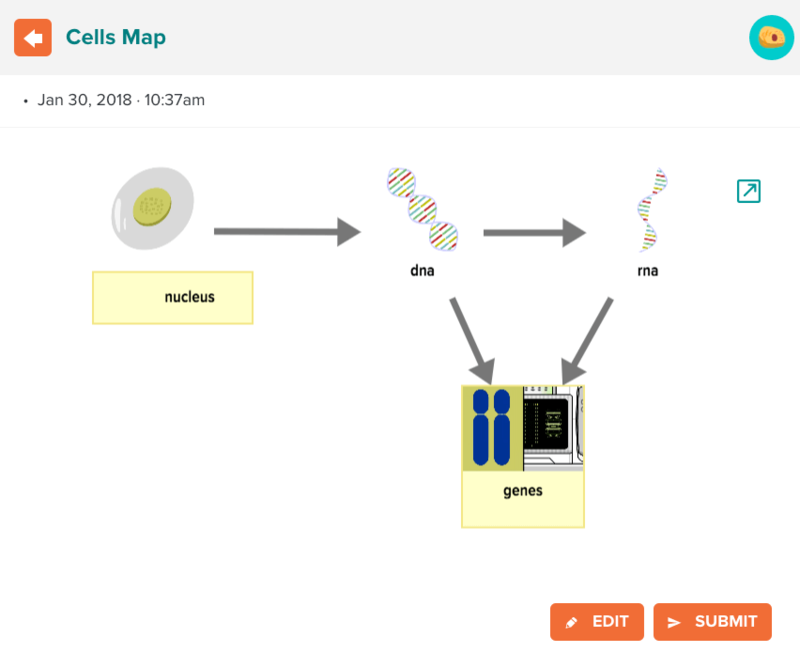 If a teacher has assigned a feature like a movie, quiz, or Related Reading to a student, the student’s results are submitted automatically when the student completes the feature. For other features, such as Make-a-Map, Make-a-Movie, and Creative Coding, students will need to click Submit to Teacher. If a student needs to redo any part of an assignment, the teacher can re-assign that feature to the student. Will I automatically see my students' results? Movies, Quizzes, Challenge, and Related Reading will automatically submit if they have been assigned. For other features or for unassigned work, students can submit by clicking Submit or Submit to Teacher. Can students save and return to features before submitting them to teachers? Some features can be saved and returned to later. On BrainPOP, Make-a-Map, Make-a-Movie, and Creative Coding projects can be saved. On BrainPOP Jr, Write About It, Draw About it, and Word Play can all be saved and returned to later. 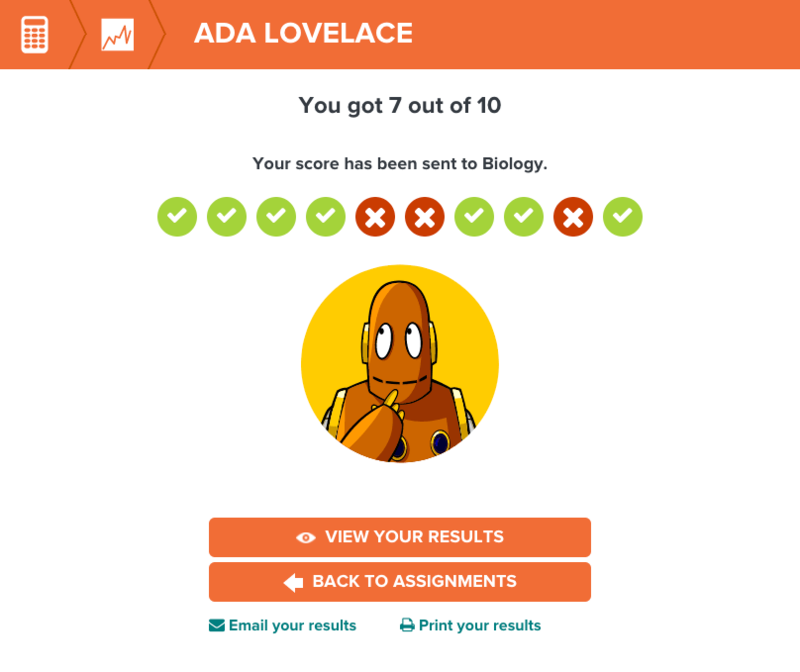 On BrainPOP ELL, the Placement Test can be saved and returned to later. If a student is not yet ready to submit an activity or test, they can return to it later by finding it in their timeline and clicking Submit. Students can also submit the activity directly from their timeline. For other activities, students cannot save and return to work at this time. They have to submit what they have completed in their original session.